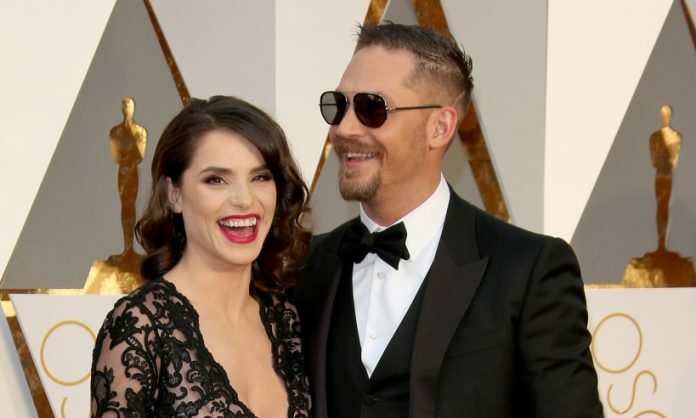 Tom Hardy and Charlotte Riley have reportedly welcomed their second child together – a bouncing baby boy! According to The Sun, the pair are said to be “over the moon” with their newborn, who they welcomed in December 2018, and have named him Forrest after Tom Hanks’ character in Forrest Gump. The couple already share a three-year-old, and Tom has a ten-year-old son, Louis, from a previous relationship. HELLO! has reached out to their representatives for confirmation. Tom will undoubtably soon be swapping tips on taking care of newborn babies with his close friend, dad-to-be Prince Harry! The Dunkirk actor, who attended Prince Harry’s wedding to Meghan Markle back in May 2018, has spoken briefly about their friendship to Esquire magazine, calling it “deeply private” and branding the royal a “legend”. He also revealed that he had flown from New Orleans to London to be there for Harry’s big day. Tom and Harry became good friends after the actor became an ambassador for The Prince’s Trust in 2010, and the actor even shared a laugh with Harry’s dad, Prince Charles, when he received his CBE at Buckingham Palace back in November for services to drama.